Incognito mode: When to Use It? ed on your computer. Also, any forms that you fill online will be stored in Autocomplete fields. As Computer Hope notes, unknown to most people is that private browsing does not mean that your identity is completely hidden to prying eyes. Consider it as an easy and quick way of ensuring that data from the websites that your visit is not stored on your computer. Below are facts on when you should use Incognito mode. Virtually all advanced smart mobile devices are internet enabled, and so you do not need to frequent an internet cafe or library to access the internet always. However, you might need to use one especially if the documents or websites that you want to access are not mobile-friendly. In such scenarios, it is recommended to use incognito mode since most public PC are poorly maintained and are prone to malware. According to PCWorld, most of the authority websites that offer news related content tend to hide a significant amount of content behind a paywall. That is, you are only allowed to access a limited number of articles for free per month before being prompted to subscribe to one of their subscription packages. It is possible to outsmart such limitations by activating incognito mode on your computer. By doing so, the said websites will not be able to know the number of times you have visited the platform or the number of articles you have read since no cookies will be stored on your PC. When accessing private sites such as medical sites, it is imperative to protect your privacy especially if you are sharing a computer with colleagues or family members. Incognito mode will prevent anyone who accesses the browser after you knowing the sites that you frequent. For instance, if you want to get information about a medical condition from a particular website, the private browsing mode will help keep your search intent discreet by not revealing the sites that you visit. 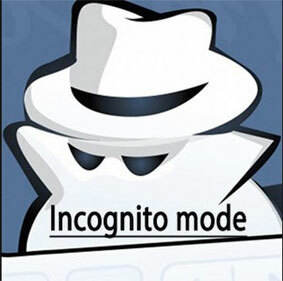 Virtually all browsers have an incognito mode setting. Activate it to protect your browsing data from being disclosed to third parties without your consent.